The Arsenal playmaker revives new criticism from Germany football fan & media for is decision to invite Turkish president to his wedding ceremony with Amine Gulse. 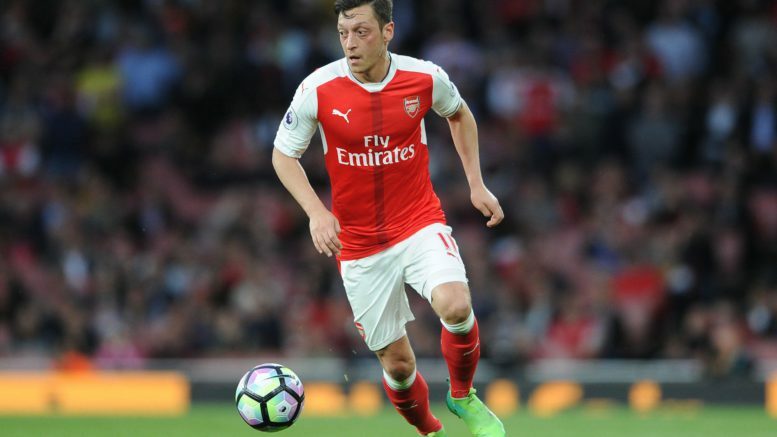 Ozil luckily met with President Erdogan at the Istanbul’s Ataturk Airport, and he used the opportunity to invite him to attend his wedding ceremony this summer. This isn’t the first time the former Germany international had faced open criticism for affiliating with Erdogan, as he was pictured giving the 12th president of turkey a signed shirt along with two other players last year. 1 Comment on "Ozil condemned for inviting Erdogan to his wedding"